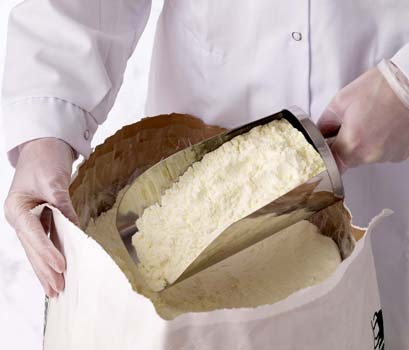 At the most recent meeting, the EU Milk Market Observatory (MMO) highlighted the current high EU Skimmed Milk Powder (SMP) stocks. The MMO said the assessment of EU stock levels based on a residual approach (production + imports – consumption – exports) confirmed important stocks for SMP, above normal needs and without reduction in July-September (against normal seasonal pattern). According to the MMO they might weigh heavily on the market at the beginning of 2016 when EU milk production starts to rally for peak production. According to the MMO, applications for private storage aid have reached 157,000t butter and 59,000t SMP since the opening of the scheme in the wake of the Russian import ban. The latter figure contains 4 200 t SMP under the enhanced PSA scheme. With regard to offers for sale into intervention, the MMO says after having decreased week after week from the end of September till mid-November, an surge appeared in late November (1,800 t SMP, most of it in Belgium). The MMO says new pressure is building up on dairy product quotations, after having recovered since their lowest level in August. It says SMP prices have reached intervention level or even underscored it for feed uses. On the world market, prices expressed in US$ generally decreased, except for EU cheddar (stable) and Oceania butter (+ 1.8%). Lower US prices for SMP and cheddar can be related to lower US exports and higher stocks. The picture is clearly better for butter whose stock level is normal and declined in July-September, according to the MMO. It says cheese stocks increased in September against the normal seasonal pattern, since only half of the export lost to Russia could be compensated by sales elsewhere. The increase of milk production after its lowest point in November is likely to put pressure on cheese production, once drying towers have reached full capacity. The increase of milk production after its lowest point in November is likely to put pressure on cheese production, once drying towers have reached full capacity.